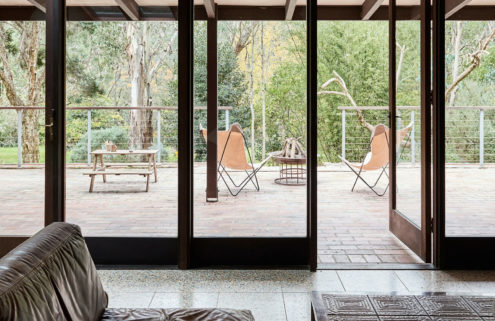 This freshly refurbished midcentury modern cabin by Joseph Esherick gives guests a taste of the Sea Ranch lifestyle on the California Coast. 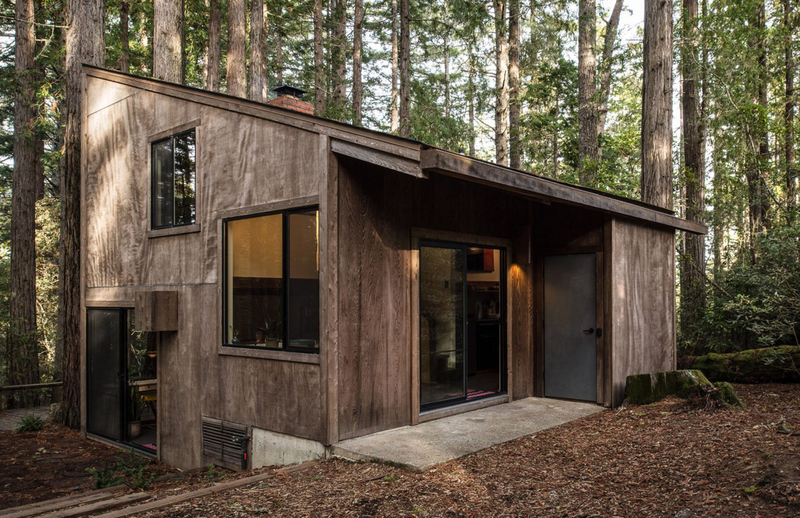 The Esherick Minimod cabin was built in 1968, as part of a series of Demonstration Homes by the architect. 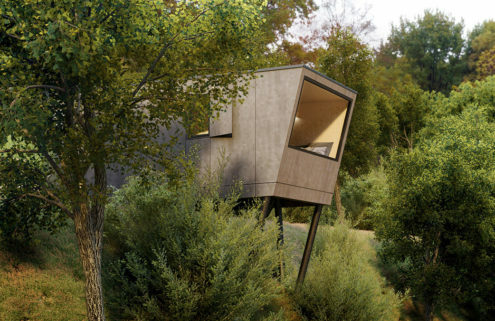 It was created to show what was possible within the Sea Ranch building guidelines, which call for modest structures that blend into the natural environment of Sonoma County, where the community is located. Set over three levels, the Californian holiday home is one of the few original Sea Ranch homes remaining. 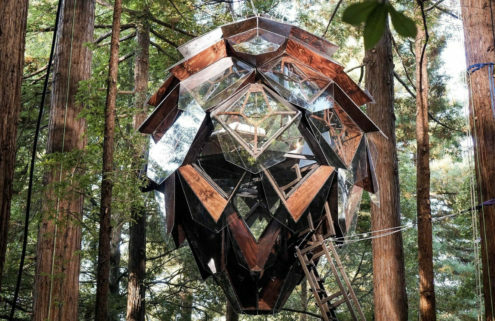 It is now available to rent via HomeAway from $240 per night having just been refurbished by Oakland collective Framestudio. 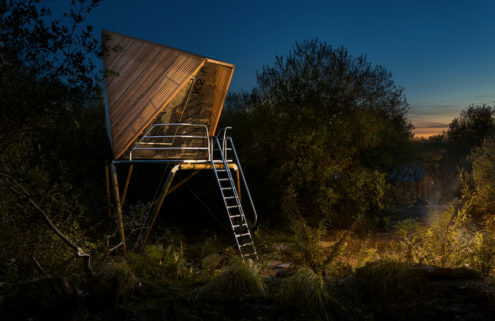 The studio has gently updated the cabin home, using old wood found on the site to add a new folding partition between the home’s two bedrooms. 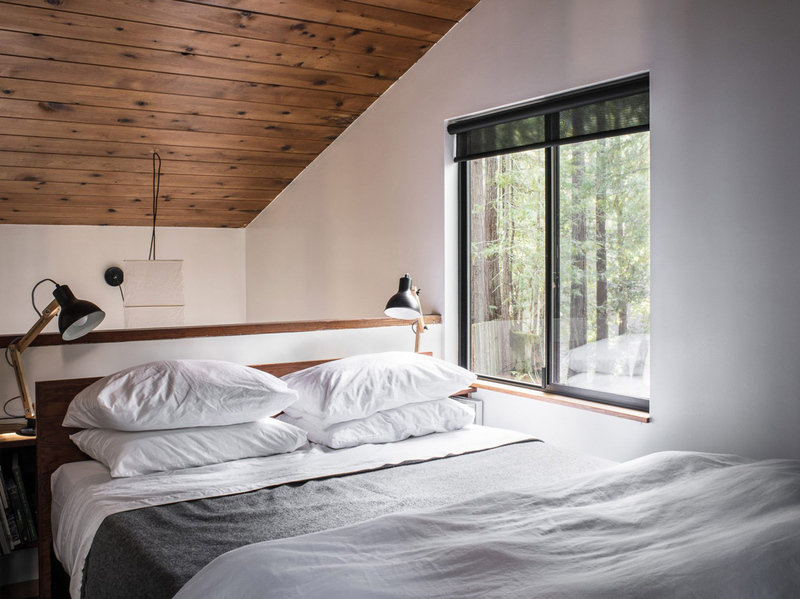 It has also furnished the cabin with a mix of old and new design pieces, including a built-in sectional sofa and artworks by Barbara Solomon Stauffacher – who created the original Sea Ranch logo.